Grace Church in Newark ( www.GraceChurchinNewark.org) is an historical, musical, and active church in downtown Newark, NJ. Home of the tune "America, the Beautiful" written by the then-organist, Samuel Augustus Ward, in the 1890s, we now continue to expand our music program, education, and outreach under the direction of new, British conductor and organist, Tyrone Whiting. We are looking for donations and sponsors to help us sustain and develop our growing music program. Can YOU help us raise $1,000 in time for Christmas? Your donation will be greatly appreciated by our Rector and Director of Music, by all at Grace Church, and our community! Please help support the Arts in Newark, NJ and at Grace Church in Newark! We currently have a volunteer Adult Choir, a Choir School Chorister Program (ages 7-18), and a brand new concert choir, Brick City Chorus. 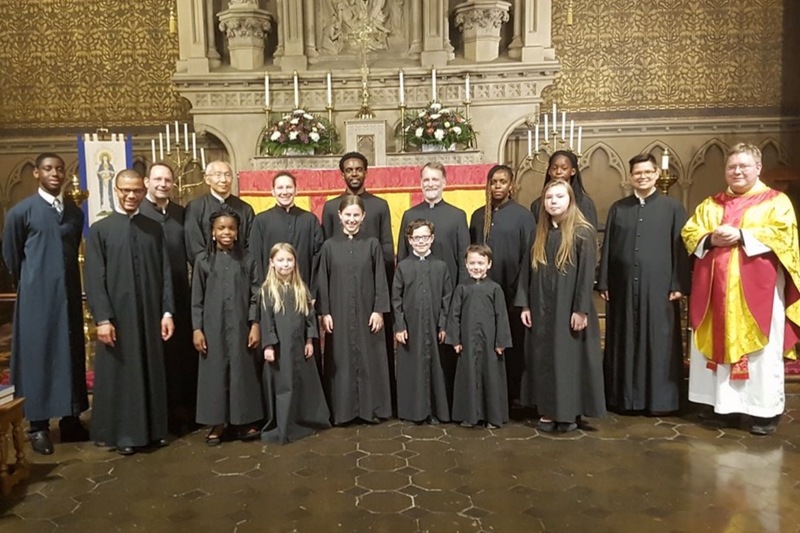 Our Choir School Choristers will take part in the annual festival at St. John the Divine, Manhattan, culminating in an evensong sung by choirs from New York, New Jersey, and beyond! A Concert for Black History Month. Our brand new chorus, BCC will perform spirituals and other music as part of Newark’s celebration of Black History Month. Student organ performances. Our Director of Music, Mr Tyrone Whiting will lead a day of masterclasses (open to the public) for organists culminating in an early evening concert. All three of our choirs will perform! Grace Church has been invited to provide the performance after the 1pm game at the Prudential Center during their Faith & Family Day. A day that will include giveaways, discounted tickets for Grace Church Members & Friends, and a 20-minute performance by Brick City Chorus, The Choir of Grace Church, & our Choristers! Pergolesi Stabat Mater. A performance of a beautiful setting of the Stabat Mater text written for orchestra and soloists alongside works for string orchestra. Not to be missed! Performances from local NJ/NY soloists and chamber groups. We are hoping to put on four afternoon recitals, one each week through the month. More details soon.